Is there life after Holsby? Yes, there is life after Holsby! 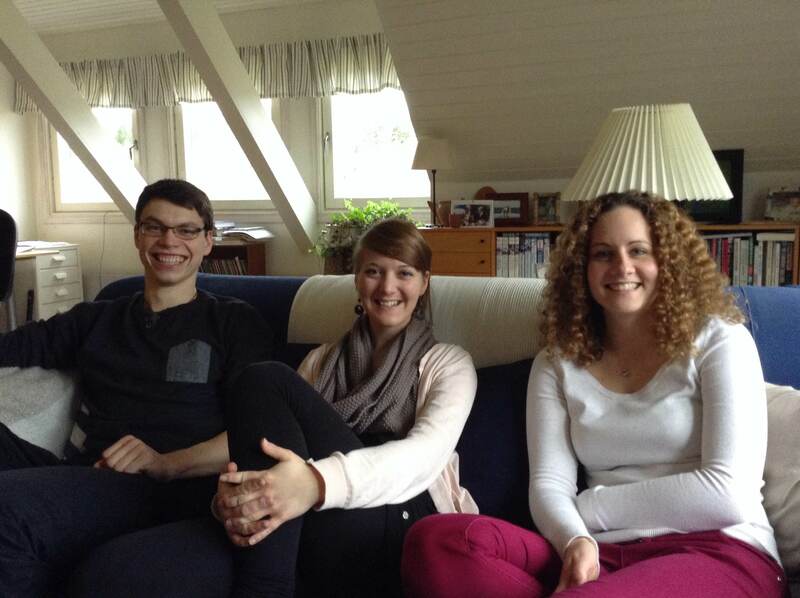 Proof came this week through a visit by Kerstin, Magda and Markus. They had all been students and had also worked as volunteer staff and now were back for a week to reconnect. After finishing a year of civil service in his native Austria, Markus will start his studies in architecture at a university in Vienna. Magda: “When I got home, I realized that I had changed, but many of the circumstances at home had not changed. I was afraid to fall back into the same life as before. And, in some ways, that is what happened. It was hard for me. I tried to share with others some of what had happened in my life while at Holsby, but not everyone wanted to hear about it. In a way I can see why so many students are afraid to go home, because they have changed so much. But I discovered that there is no good reason to fear, because God had prepared the way for me. Yes, there were new things to deal with, but the Lord helped me to handle them, and He also helped me to handle the “old” things – just differently! Magda comes from the same youth group as Markus back in Austria, and is studying to be a teacher of religion and English. Magda finds herself still using the word “fika,” and can’t understand why her friends look at her strangely! Kerstin is studying International Management at a university in Karlsruhe, and hopes to make an impact for Christ in the business world. Many years ago, the believers in Philippi may have been asking similar questions as our Holsby students. When faced with the apostle Paul’s imprisonment in Rome, they were maybe wondering: “Will our faith survive? Will God take care of us?” And Paul writes to them these wonderful words of encouragement and hope: “…being confident of this, that He who began a good work in you will carry it on to completion until the day of Christ Jesus” (Phil 1:6). We all can place our hope in this same promise. Yes, there is life after Holsby, because there is life in Christ! Great to see you guy’s, and see that life is going on in HIM! diffecult for sure at times but knowing he will never leave you or forsake you is also a great encouragement. before i got the the bottom of the page i was thinking about Pith 1:6 then I was it printed their. Be Blessed alway love to see those i have met going on and striding towards the goal Christ has set you. It’s so great to hear from you guys! So encouraging from the standpoint of being on staff too, to see how the Lord continues to work in your lives after you leave school. Thanks for the update! Marshall and I were having this same conversation yesterday as we drove up into the Colorado Mountains. There is something so special about chatting with anyone who has attended a Torchbearer school because there is no way that others can relate to our unique experience, what Marshall and I decided is “Utopia”. So when you leave Utopia and return to “reality” it does take some adjusting. No doubt about it, there is life after Holsby. It looks and feels very different but life is always wonderful and exciting with our Living Christ.